Visual Skills and Career Mentoring for Process Professionals Who Work with Groups and/or Individuals. Our Annual New Years Sale Now til Friday. 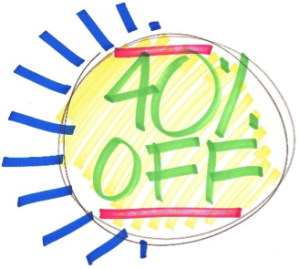 Save Up to 40% on Online and In-Person Training, Coaching and Home Study Kits. Quality Professional Development at a Great Deal. Happy New Year! TREAT YOURSELF TO QUALITY PROFESSIONAL DEVELOPMENT IN 2019 … AT A VERY SPECIAL NEW YEARS RATE. Online and in-person classes, private training and private coaching. Plus a reminder that prices are in Canadian funds, so that translates into additional savings (around 30%) for those in United States, Europe and other locales. So a very good time to secure these experiences you have been eyeing! Invest in yourself and your professional and personal development in 2019. 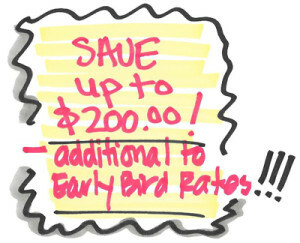 Savings on selected upcoming classes … even beyond current Early Bird rates! 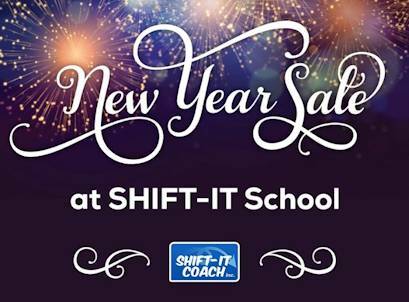 SHIFT-IT Online, Fundamentals of Working Visually (beginner Visual Skills), Magic Marker Programs (Advanced Visual Skills), Visual Coach Certification, Fast and Loose Sketching (New Course) and Business Essentials for Process Professionals (Home Study Kit). What do you want to create in 2019 and beyond?! Private support for your professional and personal goals. 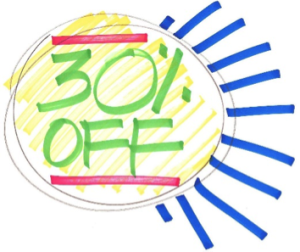 Experience the power of Visual Coaching with Christina Merkley … at 30% off regular rates. Both distance and in-person options. Purchase now at special New Years rate and take up to a year to use. Learn Visual Skills and Enhance Your Existing Toolkit. Customized Private Training and Apprenticeships with seasoned visual mentor Christina Merkley. Save 40% with handy payment plans available. Purchase now at special New Years rate and take up to a year to use. HAPPY NEW YEAR and I look forward to assisting you soon!